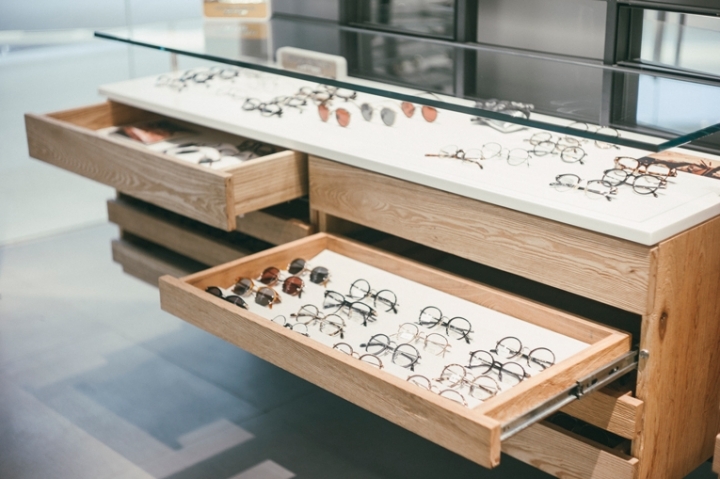 Since opening its first store in Bangkok's Thonglor neighbourhood in 2005, Niche Nation has supplied the thai capital's growing demographic of discerning trendoids with fashionable eyewear. and now founder Jonas Koblin has stepped up his presence by opening up shop at Central Embassy, bangkok's prestigious new supermall and nucleus of top brands. 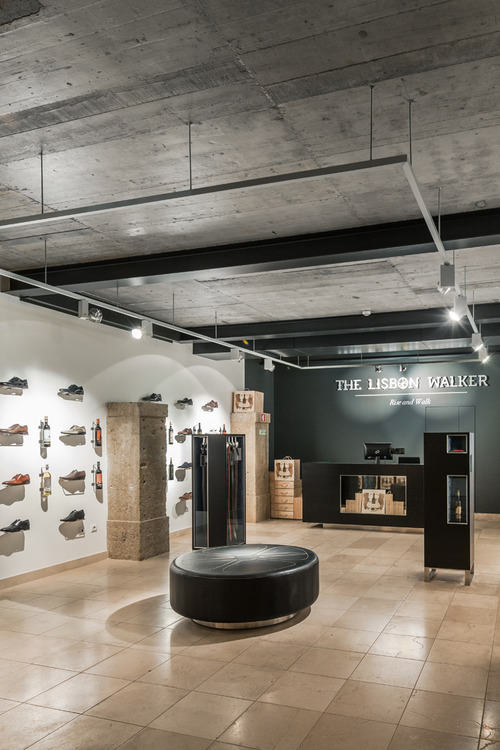 The interior design is a luxed up extrapolation of the original Niche Nation store without ditching its inviting atmosphere. 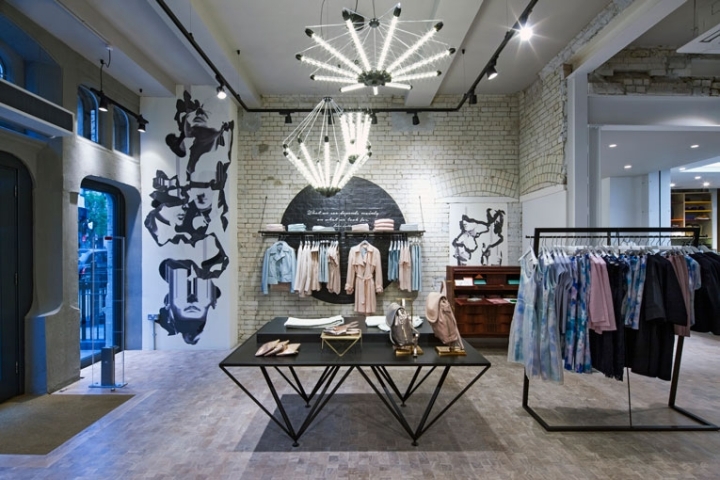 Behind an expansive glass façade sleek floor-to-ceiling metal grids not only add a sophisticated visual layer but also incorporate a number of light wooden display boxes. These correspond beautifully with furnishings and fixtures of the same material. 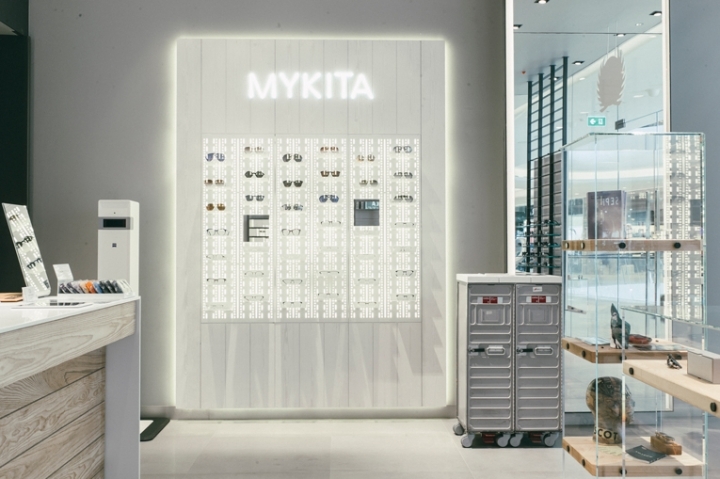 A special section has been exclusively reserved for an in-store Mykita corner, featuring the brand's signature display wall and vintage trolley. 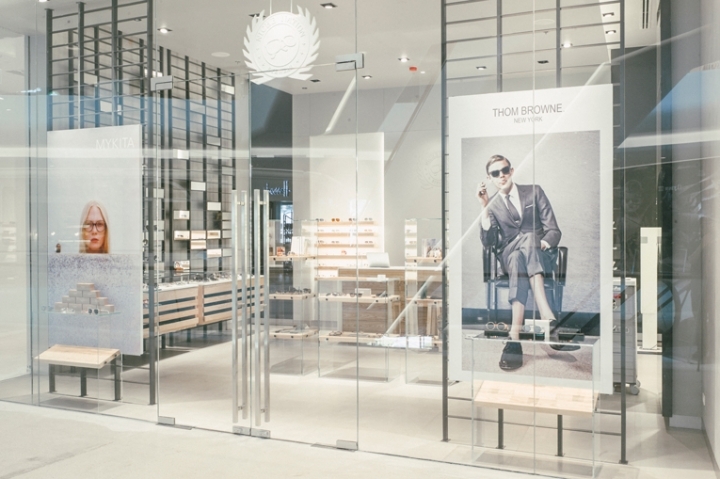 niche nation's new store carries a coveted range of other eyewear brands, including Oliver Peoples, Thom Browne, Moscot, Cutler & Gross and Persol. In search of cool presciption glasses? lucky you. Niche Nation has exclusively partnered with Zeiss and provides an eye test room with state-of-the-art equipment. 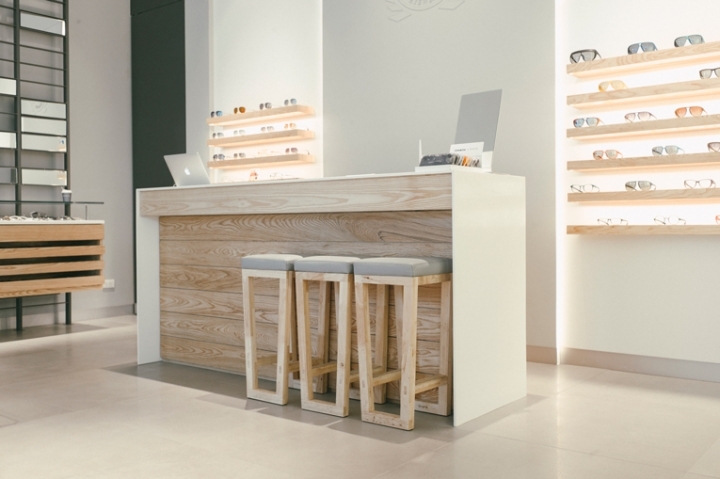 This allows the store's certified optometrists to offer customers a unique Zeiss experience for creating individual vision profiles and lenses. location: central embassy, 1031 thanon ploenchit, shop L2-04 [ploenchit].